When would I need a children’s doctor? How can a children’s doctor help me? What should I expect when I see a children’s doctor? A children’s doctor, or pediatrician, is a medical practitioner who specialises in the diagnosis and treatment of ailments and infants in young children. Many children’s doctors focus on common injuries and diseases that affect young people, while others may diagnose and treat more serious medical conditions that often arise in children. Children’s doctors can specialise in specific areas of medicine, such as adolescent medicine, which focuses on diseases and conditions common to teenagers, cardiology, which focuses on conditions of the heart and blood vessels, developmental disorders, to do with behaviour, communication, and mental disorders in children, as well as endocrinology, gastroenterology, infectious disease, nephrology, and oncology. You may need to see a pediatriacian if your health practitioner wants a specialist opinion about the health of your child or their development, or believes your child may need specialised care or treatment. As pediatriacian are specially trained and qualified in children’s health and development, they should be able to offer more specific advice than a general practitioner. You may need a children’s doctor for further assessment and treatment of many conditions, such as asthma and allergies, behaviour problems, autism, ADHD, developmental delay, poor growth, sleep problems, brain conditions such as epilepsy, disabilities such as cerebral palsy or Down syndrome, faecal incontinence, or sleep problems. pediatrician not only specialise in the health and development of children, but they are also well trained in how to deal with children of all abilities and characters, and particularly those who might be frightened or in pain. Not only can a children’s doctor help to diagnose and treat any conditions, diseases or illnesses that your child may suffer from, but they can ease the stressful experience that is taking a young person to a hospital. 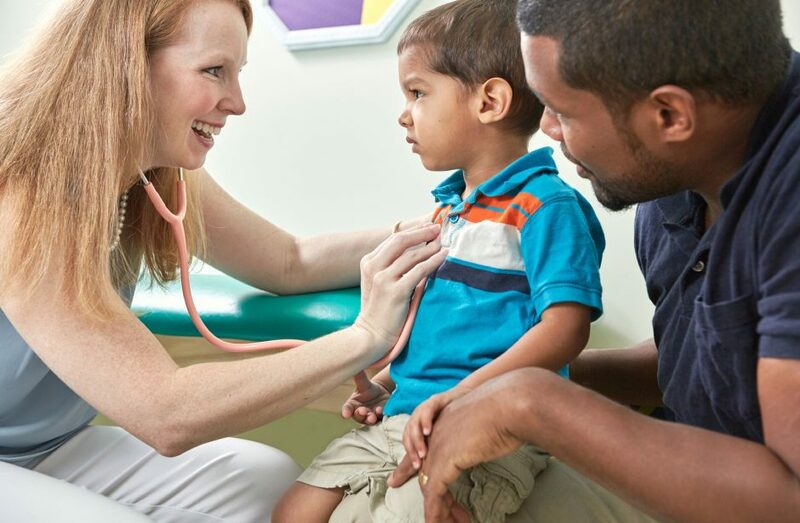 When taking your child or toddler to see a pediatriacian you can expect a friendly and comforting atmosphere and a doctor who has the ability to calmly address your child. Often a pediatriacian will carry out a physical examination or diagnostic tests to gain information about the child’s medical condition and administer treatments, therapies, medications, vaccinations to treat illness, disorders or injuries. Depending on the nature of your child’s illness or condition, you can also expect that a children’s doctor may give advice to both the child and the parents or guardians about hygiene, diet, and disease prevention.